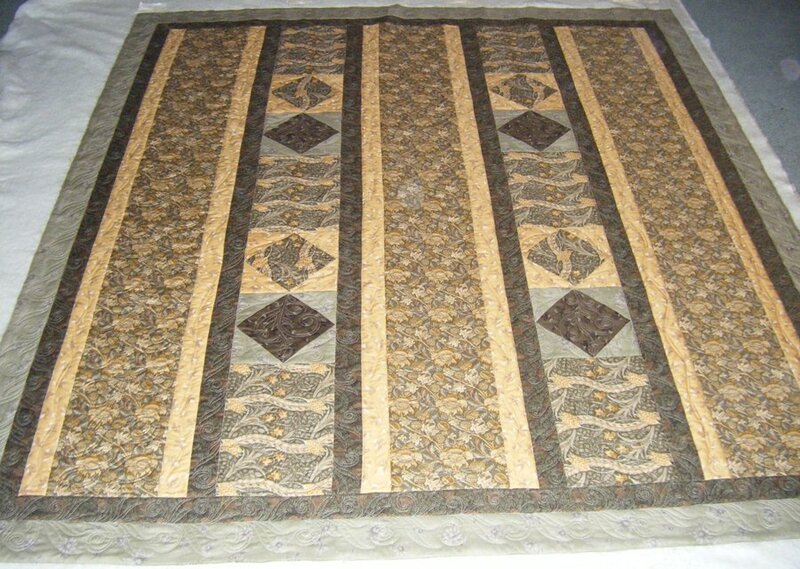 This quilt is so calming and the colors are just right for fall! I was glad to meet a new customer via one of the quilt shops. This is a large quilt and my photography capabilities at this size are rather limited. (Especially with my long armed men working extra hours this time of year!) There are daffodils in the green prints!! I loved these fabrics. 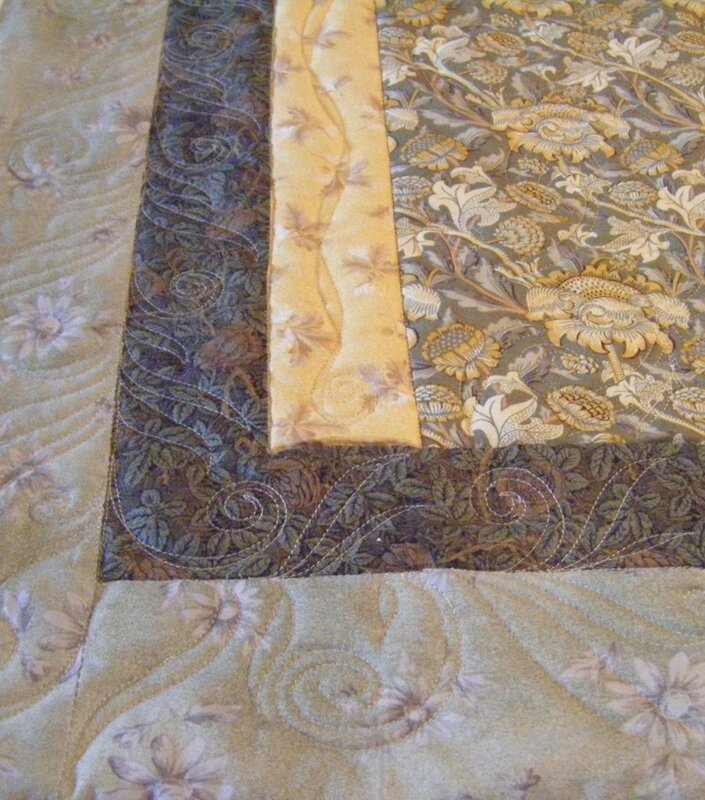 The 3 printed sections are quilted with a floral vine to fill the wide space. Then I used variations of that in the pieced blocks, framing a flower set in each one. The borders include parts of the main floral design using the leaves & scrolling bud branching out from the seams. 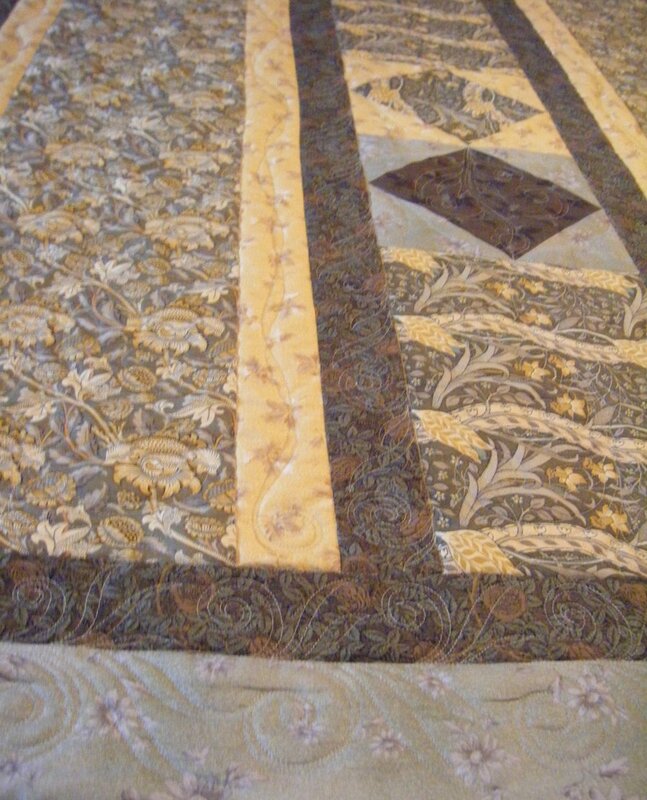 The customer was pleased and I really enjoyed quilting this design! 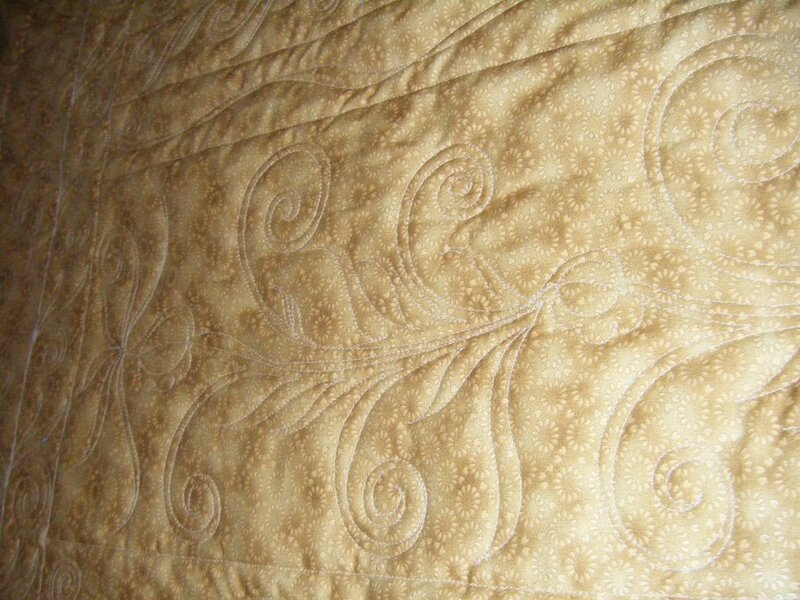 The quilting is all freehand and has an natural feel with slight variations to all the floral designs. As usual, the backing showcases the quilting! Love it!!! So pretty, but you are right, that picture of the back — beautiful!